09/09/2014This entry was posted on 9th September 2014 by Andy Mossack. 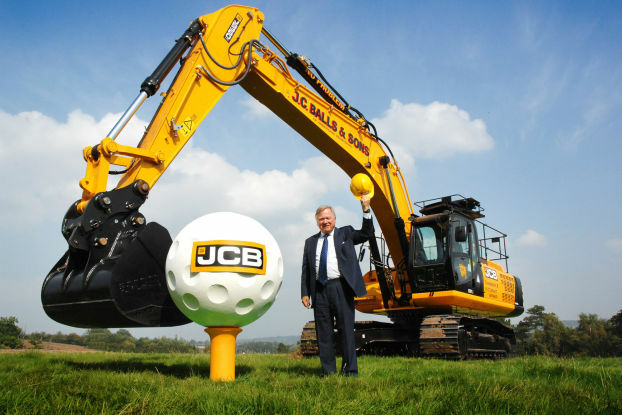 One of the best known names in industrial digging, Lord Anthony Bamford has finally realised his dream as his JCB golf course begins construction. The proposals are for a spectacular 18-hole, 7,150 yard, Par 72 championship golf course on 240 acres of prime rolling countryside to the south of JCBs World Head Office in Rocester, Staffordshire. 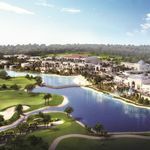 When completed in 2018, it is expected that up to 100 people will be employed in running and maintaining the golf course. JCB Chairman Lord Bamford marked the start of work on the project as a 36 tonne JCB JS360 tracked excavator officially cut the first sod of earth on the 240-acre site. A total of 10 JCB machines will shift half a million tonnes of earth between now and next June when the first stage of the project, which involves profiling and contouring of the site, will be completed. 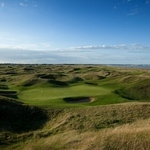 When finished, the golf course will be the biggest marketing tool available to digger maker JCB in its 69-year history. The course, which was granted planning permission in July, will be designed by European Golf Design – the golf course design company of IMG and the European Tour – best known for the 2010 course at Celtic Manor in Wales, host of the 2010 Ryder Cup. It will be built to tour-quality standard and could potentially host a major tour event, attracting competitors and spectators from all over the world. Lord Bamford’s idea for the course follow an announcement in early December that JCB will invest £150m to build two new factories in Staffordshire and significantly increase production to meet an anticipated growth in demand for its products. If the course were to host a major tournament, the television coverage would certainly put the JCB brand firmly on the world stage. It would also help to raise the profile of Staffordshire and promote the county as a tourist destination to millions of people around the world. 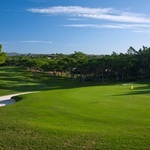 The new golf course will be made available mainly to JCB’s network of 770 global dealers. It will be used to drive business growth, helping to build relationships with new customers and strengthen relationships with existing customers. Upon completion, golf days will become a feature of the wider JCB visitor experience, which already includes factory visits, the ‘Story of JCB’ exhibition and machine demonstrations.